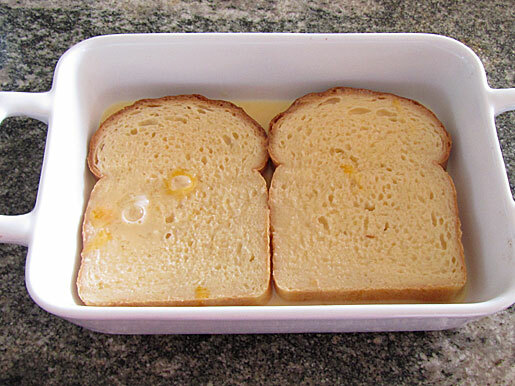 This is a great way to make French toast for a crowd and it's really good. Mix the custard ingredients with a whisk. Place on a baking tray for 12 to 14 minutes.